Join a winning team that is still growing. Coffrage Major is constantly looking for qualified workers who wish to evolve in an environment where safety and teamwork reign supreme in this very demanding field. 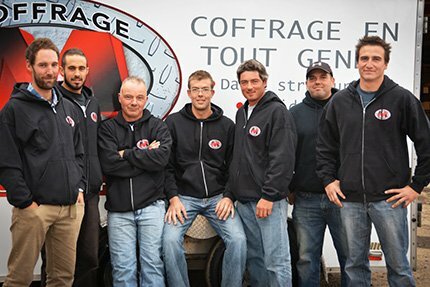 At Coffrage Major, our employees are part of a large family where all expertise is put to use in order to surpass industry standards. Whether as a truck driver, boom truck operator, formwork carpenter, foreman or worker, please send us your résumé.